Why Come to Ruthie’s? Why not?! 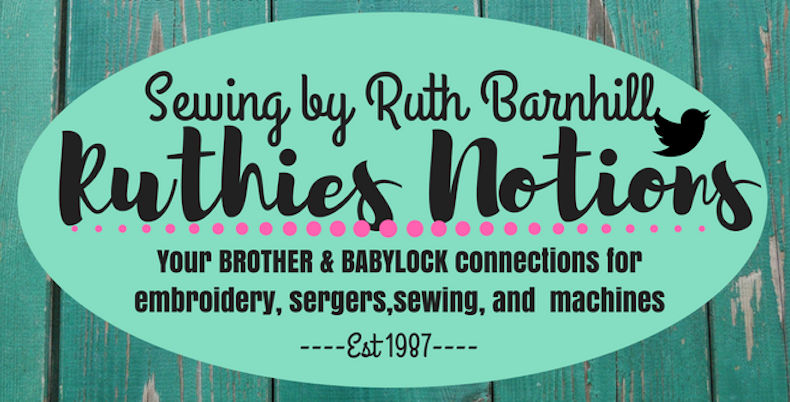 Why would you want to purchase your Brother or Baby Lock machines from Ruthie’s Notions? You may think Amazon has it all. You may get it the same day or even the next day. But who is going to train you on your new Brother or Baby Lock machines? We offer some of the most awesome training and classes in the sewing industry today. Don’t you love going to football games and really enjoy the game especially if your team is winning? Why not enjoy sewing, embroidery, serving, quilting and take it to the next level that you have never been before at Ruthie’s Notions in Baker, FL. We are down a little country road, people say out in the middle of nowhere, but people are finding us everyday and purchasing top of the line Brother 10 Needles and Baby Lock embroidery machines, sergers that even thread the needles and sewing/embroidery machine combinations along with sewing machines for as little as $198. We offer the very best classes and training in the industry today. We have teachers from Australia, Switzerland, California, even South Africa. Mike Johns is one of the very best teachers I have ever seen. His expertise and knowledge of the machines and latest software and Scan-N-Cut and Cameo cutting machines is astounding. Mike Johns classes are always filling up fast. 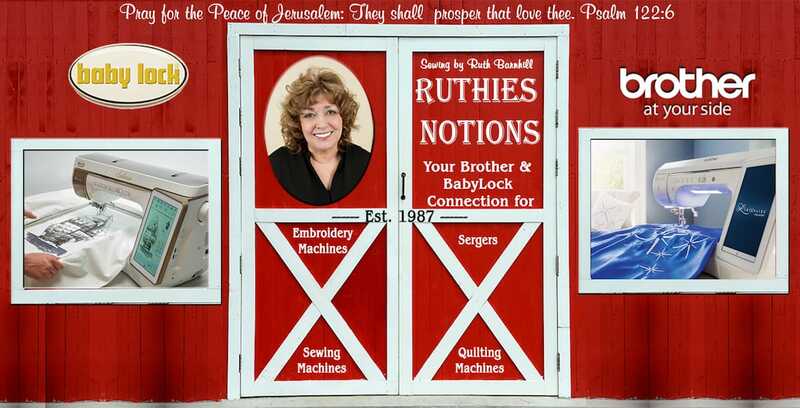 People really want to know how to get the most out of their Brother or Baby Lock machines and at Ruthie’s Notions we take care of business like no other sewing shop I know of anywhere else in the USA. We offer classes almost every weekend of the month. We cover multitudes of different aspects of sewing, embroidery, quilting, and software. You will some of the best hands-on classes in the industry today going on at Ruthie’s. Why not experience Ruthie’s Notions in Baker, FL. for yourself – you will love it! Check our website and Facebook page often so you don’t miss a class we are doing. We only let our schedule out a little at a time. A lot of our classes are really FREE!! Seriously- no-one else does the classes we do for free! You will also receive a FREE catered lunch at each class. Can you stand it! Come visit Ruthies today!! « Ruthies Sells Brother Machines Now Too!